THE ten years of a Zuma presidency have given us ample opportunities to identify the weaknesses we must strengthen in our democratic institutions, to make sure that its spectre never again returns to haunt us. The sentencing of Vicki Momberg to prison for crimen injuria has placed the spotlight on the festering racial fissures that stand between our sad past and the future we have been hoping to build together. The number of whites who expressed shock at the prison sentence given to her, citing Julius Malema’s racism as an excuse in attempts to deflect all discussions from the deep pain that comes with being called the K-word, has been an eye opener. Some even went on to accuse our judiciary – the one part of our institutional make-up that has remained robust and uncaptured – of racial bias. Too concerned about the plight of Momberg the convict, few bothered to enquire about the emotional well-being of the human beings who found themselves at the bitter receiving end of her vicious racist rant. In the priorities set by the Momberg supporters, there was no room for considering their humiliation and pain; the victims of her rants belong to another community across the fence. As if the above weren’t enough, I was told by a young South African, not for the first time, that stories are making the rounds in some black youth circles that our country is in its current sorry state because Nelson Mandela betrayed the revolution. The young man, in his mid-twenties, went on to tell me just this past weekend that he saw a video clip – of which he has yet to send me a link – showing that Mandela was part of the “illuminati” aimed at ensuring that whites remain forever in control of our fortunes. Accordingly, Mandela bent over backwards to accommodate white fears at the expense of black expectations following the end of apartheid, allowing more concessions than he should have during the multi-party negotiations. I was left shocked after hearing this; not by the fear that the story could be true, because it can’t, but because it exists in the first place and that there are youngsters gullible enough to buy into it. I decided to take the young man through a summary of the negotiations that began with Mandela – with everything known and approved of by the ANC still in exile – after he was moved into the warder’s house on the grounds of the erstwhile Victor Verster Prison; the arrival of FW de Klerk as state president onto the scene; the unbanning of anti-apartheid movements and persons, as well as the liberation of Nelson Mandela and other political prisoners. I also told him about the difficulties negotiators had at the time convincing Mangosuthu Buthelezi to bring his Inkatha Freedom Party onto the ballot paper for the country’s first all-inclusive democratic elections. This came after over two years of stop-go-stop-go negotiations none of the participating parties will claim to have given them everything they had hoped for. That, I reminded him, is the nature of negotiations of any kind; none of the parties ever walks away with everything it wants. Nelson Mandela was not made president by the National Party, I assured him, contrary to what he believed. His name was put forward by the ANC, of which he was president, and he won the majority of the votes in the National Assembly to become state president. 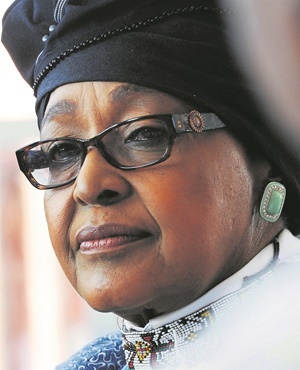 More recently, responses by South Africans to the passing of struggle icon Winnie Madikizela-Mandela have woken up the racial malaise that seems to have been lying dormant in recent years. Many whites have come out rejoicing her death, having suddenly discovered in themselves a love for the late Stompie Seipei and a caring for human rights. They have claimed the memory of Seipei as theirs to defend – but will hear nothing about the hundreds of thousands of South Africans who perished under the system of apartheid. 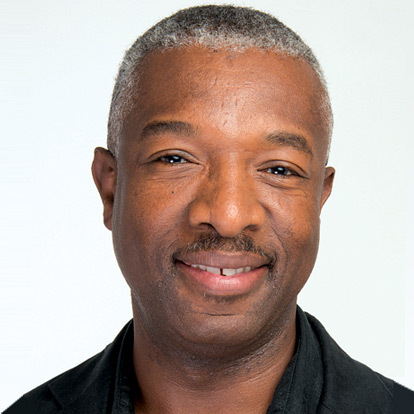 Seipei has become a convenient poster boy for them to use as justification to celebrate the death of Madikizela-Mandela, gleefully brandishing memories of him in the faces of the seemingly heartless black majority whose mourning of the struggle icon makes no sense to them. All they choose to remember about Madikizela-Madela is a rough sketch of the events around the death of Seipei, often passed down through word of mouth. Looking at the above, one would be forgiven for fearing that we have strayed far from the path we had agreed on at the dawn of our democracy. We have lost one another along the way and moved back into our historic laagers, real and imagined. We cannot find our shared way again without people in all communities learning the value of empathy – the ability to understand and share the feelings of one another. We will fail dismally if we try to prove ourselves right and the others wrong, irrespective of how strongly we hold our views. On all sides, people are firmly entrenched in their positions; everyone is right and no one is wrong. The progress many of us believed had been made to bring different communities closer to one another seems either to have been a chimera or to have slipped from our collective grip, thanks to the absence of a Mandela-like uniting leadership. Zuma’s divisive use of race for political expediency for over a decade has not helped. In this regard, it seems like Nelson Mandela departed prematurely. He left this union in the middle of a honeymoon, leaving the partners to revert to old positions. Who will come forward and remind South Africans of the potential that is being wasted by choosing the easy way out, and allowing our old fissures to tear us apart again?